It’s that time of the year again — the time where the sun is finally starting to give us a break, and we start feeling the refreshing cold snap in the air. Autumn is here, and winter is coming, and in this lovely season where it’s neither too cold or too hot, why not take the time to perform some due maintenance on your HVAC? While many air conditioner and furnace repairs are better left to HVAC companies, there are certain maintenance jobs you can do yourself, and cleaning your condenser unit is one of them. Your condenser unit is the component of your air conditioning system that does the lion’s share of the actual cooling. 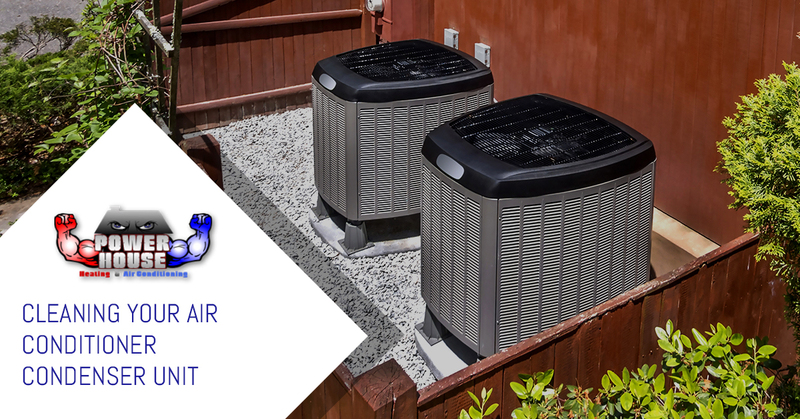 It’s a unit that sits outside your home, and its job is to take outside air and put it through a heat exchanger, which cools refrigerant inside, which is then distributed to the rest of your HVAC system. Refrigerant enters your condenser unit as vapor, and leaves (going back into your home) as liquid, which are both essential processes to the overall functionality of your air conditioner. First off, you’ll want to make sure your condenser isn’t running. Fortunately, this is usually easy because most condensers are plugged into a nearby power source. It’s not hard to track down the shutoff box that your condenser is most likely plugged into. 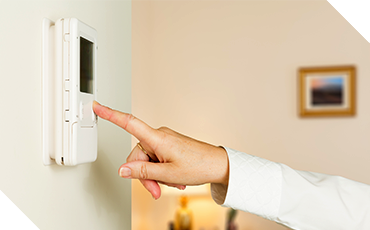 There are various different types of power configurations — you might need to unplug the unit, or it’s possible that you might need to flip a switch. You’ll know when you see it. The first thing you’ll notice about your condenser unit is that it probably has a fair share of natural debris surrounding it. This will depend on your home, but in many cases, condenser units are surrounded by grass, plants, weeds, or overshadowed by trees, which, of course, tend to shed leaves. If you’ve neglected your condenser unit for a long time, you probably have a lot to clean up. It’s not a bad idea to take a hose to your unit to wash off all the stuff that might be sticking to it. You might have leaves caked on, layers of pollen that settled earlier in the summer, dirt, and plants growing a little too close to the base. After you’re done cleaning the unit of natural debris, it’s good to trim the surrounding flora. The more weeds and grass that stay from its base, the better. If they grow too long, they can get caught up inside the condenser, and in a worst-case scenario, dirty up the coils inside, which are essential for the heat exchange process. At this point, you’ve covered the exterior of your condenser. Now it’s time for the fun part! If you really want a thorough cleaning job, then you can proceed with this next step, which is removing the top of the condenser, namely, the fan assembly. This isn’t as hard as it sounds! Most condensers have a fan that’s attached to the top panel of the unit. Fortunately, removing it is as easy as loosening several screws on the top and side of the unit. Once you get those out, you can typically remove a top panel, which in turn allows you to disconnect the fan. You can clean the fan just like you’d clean anything else — apply cloth and cleaner, and and you can give a generous dusting job to its blades, which probably need some attention. And if you really want to provide a luxury treatment to these components, apply some lubricant or oil! This will help things to run smoothly and add just the slightest amount of longevity to your unit. Once the fan assembly is removed (which is often accompanied by the motor) you’ll have valuable access to the condenser coils. The coils make up the majority of your unit — appearing as horizontal openings or vents that line almost every side of the machine. You already treated these a little bit if you hosed them down earlier, but oftentimes there is buildup inside your machine that can only be addressed if you remove the fan. Cleaning your condenser coils is important because your unit is always pulling in outside air that aids in the heat exchange process. When your coils get clogged up by dirt and debris, less air is allowed in and thus your system performs less efficiently. You might not notice the difference in your day-to-day life, but your HVAC will thank you for it! If you’re the type of person that revels in a DIY job and you’re looking for a way to spend your Saturday afternoon, we certainly won’t stop you from servicing your air conditioner condenser unit. However, not everyone has the time, patience, or, well, interest to manually clean out their condenser. This is totally understandable, and that’s why HVAC companies such as Powerhouse Heating and Air Conditioning exist! 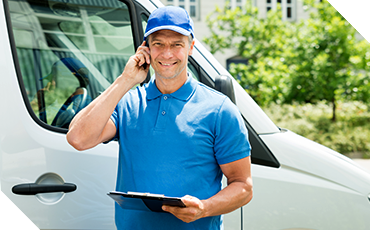 We’ve been serving residents of Nebraska for years in all of their heating and air conditioning needs, and we’d be happy to stop by your home in Blair, Omaha, Fremont, Bellevue, or any other of the surrounding regions! Sometimes performing your own maintenance is a drag, and you might be more comfortable deferring to a professional who will also be able to identify any problems that your system has, as well as pointing out any risk factors that could lead to future breakdowns. Do you want to give your air conditioner some much-deserved pampering after it’s worked so long and hard for you over this past summer? Contact Powerhouse Heating and Air Conditioning today!